Diana Kaniecki has been writing health-related articles since 1991. Her work has appeared in peer-reviewed health journals including the "American Journal of Cardiology," "Chest" and "Pharmacoeconomics." She also develops health technology products for wellness and chronic illness self-management. Kaniecki received her Doctor of Clinical Pharmacy from St. Johns University. Dandelion has been used medicinally for centuries by many cultural groups ranging from Arabic to Native American Indians. It is now used for a wide variety of medical conditions, but there is not enough scientific information to determine if it is effective for any of them. First talk to your health care provider before using dandelion medicinally. Dandelion root has been used in daily doses of 9 to 12 g when prepared as a tea for treating digestive problems. The dried root decoction is made by boiling dandelion root for five to 10 minutes. It is taken in doses of 1/2 to 2 tsp. three times a day. The root tincture is made as a 1 to 2 ratio of root added to 45 percent alcohol and taken in doses of 100 to 150 drops three times a day. Dandelion is used for treating appetite loss, indigestion, intestinal gas, gallstones, constipation, liver disorders and kidney problems and to increase urination. It is also used for alleviating joint and muscle pain. Some diabetics use dandelion for controlling blood sugar levels. Other uses include treatment of viral infections and cancer. Currently, there is not enough scientific information to rate the effectiveness of dandelion for any medical condition. Preliminary research shows some benefits of the combination of dandelion root with another herb called uva ursi for decreasing the number of urinary tract infections in women. However, the safety of using this combination is not known at this time. Dandelion is considered as generally safe. However, dandelion can cause side effects such as stomach distress and diarrhea. Allergic reactions may also occur, especially if you have existing allergies to ragweed and related plants such as daisies, chrysanthemums and marigolds. 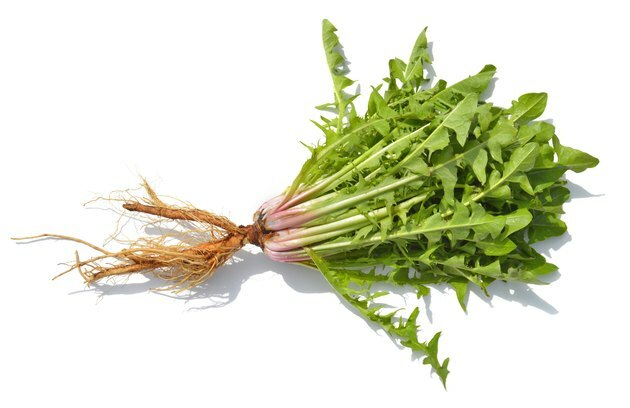 Avoid dandelion if you have obstruction in the bile ducts and stomach ulcers. Do not use dandelion if you are pregnant or lactating, as its safety is unknown in these conditions. What Are the Benefits of Dandelion Root? What Is the Difference Between Brahmi & Gotu Kola? Can You Use Holy Basil to Lose Weight?